The World Triathlon Series event – which is set to take place in Bermuda next April — will see athletes compete on courses that will start and end in Hamilton, with competitors set to swim in Hamilton Harbour, bike through city streets and up Corkscrew Hill, and finish with the run along Front Street. The course was revealed at a press conference yesterday, with a BTA spokesperson saying “The Local Organising Committee of the international sporting spectacle, revealed the race courses today for both the Elite and Age Group races within the event. Both races will take place on Saturday April 28th during the Bermuda Triathlon Festival Weekend [Thursday April 26th to Sunday April 29th]. “Both courses start and end in Hamilton. 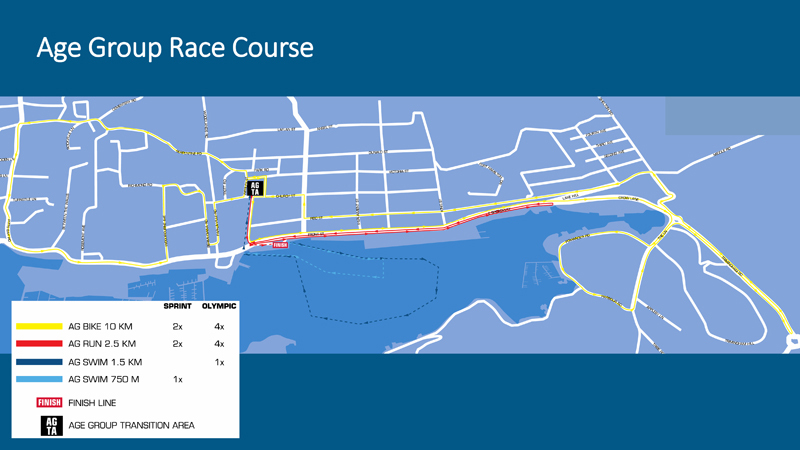 Competitors will first swim in the waters of Hamilton Harbour, then bike through city streets and finish with the run along colourful Front Street. The central location offers great viewing for spectators, and several significant technical challenges for athletes. “One of the highlights of the bike courses will be hundreds of athletes pumping their way up Corkscrew Hill in a gruelling steep effort. “Front Street will be the focus of all racing. Athletes will line up for a spectacular swim start at Number 1 car park, where free public grandstands and VIP seating will be positioned for a great viewing advantage. 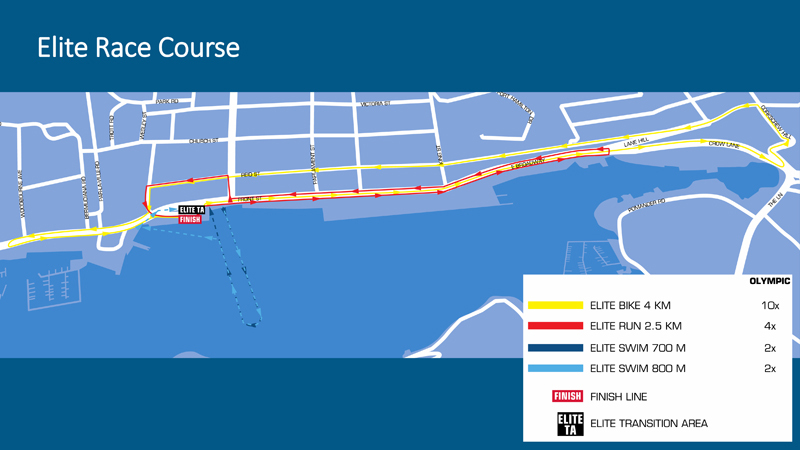 The Elite race will transition onto bikes and the run right in front of spectators on Front Street. “It is anticipated that hundreds of people will participate in the Age Group event, including locals doing a triathlon for the first time. “Organisers welcome sportspeople of other disciplines to register and train for the April event, which does not require a qualifying time. Not often can you do a first triathlon in a World Series event right at home! How will help Born Bermudians? Agreed. Terrible, terrible, terrible location. Front street and swimming in the harbour….ewgh!!! Why didn’t they do it on South Shore Road and swimming at one of our beautiful beaches? Won’t this be televised around the world?